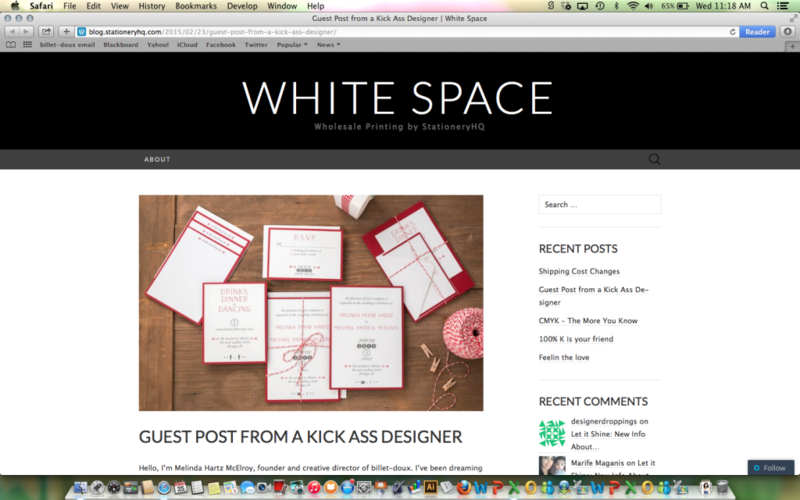 I had the best time this week being a guest blogger for White Space by Stationery HQ! Read up about some of the latest invitation trends and find out what I’m obsessed with these days. (Thanks to their editor for the great title of this piece!) Click below image for full story.